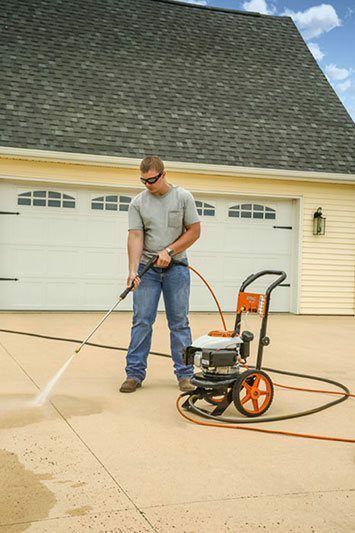 A pressure washer that combines easy starting, durability and a full range of optional cleaning accessories. 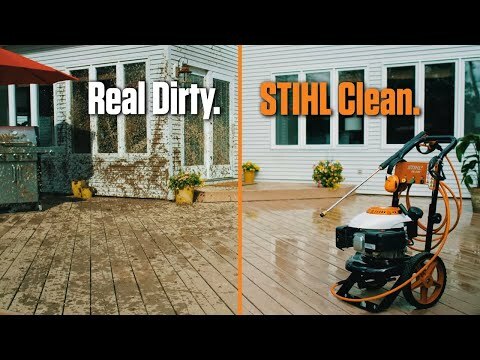 When you need to do a heavy cleaning on your deck, house or equipment, the STIHL RB 200 pressure washer does it all without fuss. 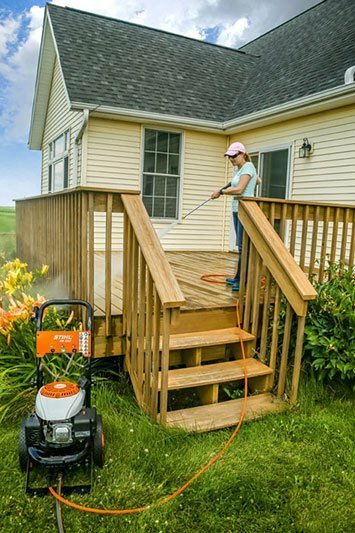 Its powerful 173 cc (5 hp) engine delivers 2,500 psi of water pressure – powerful enough to tackle tough cleaning jobs on sidewalks, driveways, decks and more. This power washer also features an easy start pump system, so no hard pulls or difficult starts. It also comes standard with a detergent injector system, so you can easily add detergents to the washer for efficient cleaning. And with its 25 ft. no-kink flex hose, you can clean more area without having to move the machine. 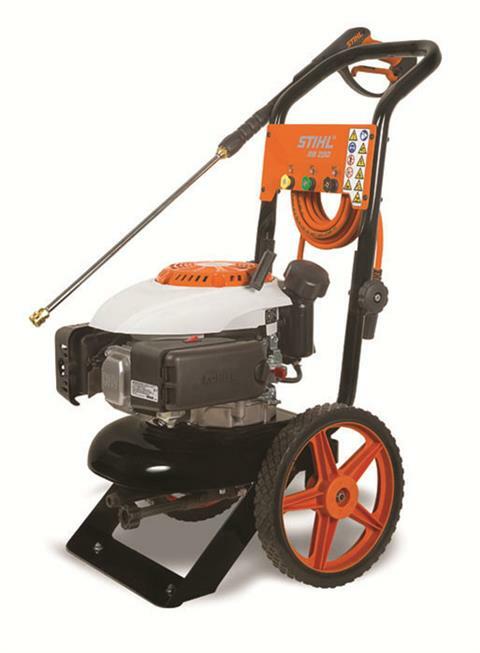 Finally, the RB 200 pressure washer uses a wide range of cleaning accessories for maximum utility. 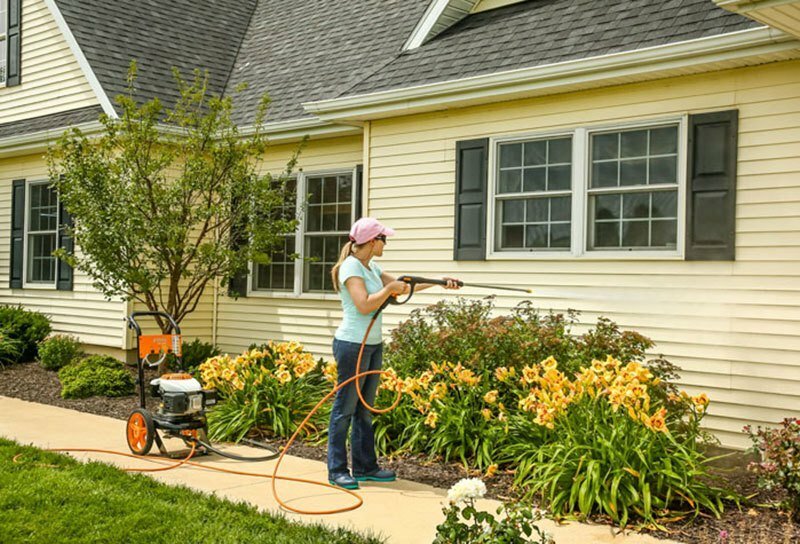 Optional accessories include a rotary surface cleaner, water broom, multi-function nozzle, long range nozzle, hose extension, gutter cleaner, wand extension, pivot coupler and official STIHL cleaning agents. 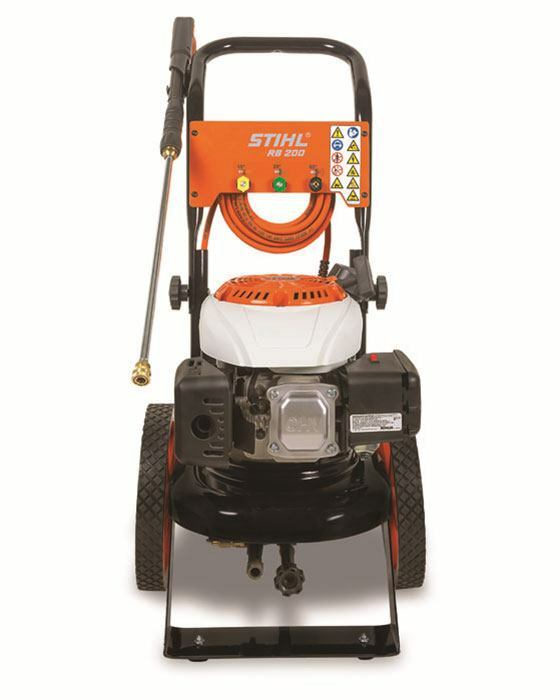 EASY START PUMP SYSTEM: The Easy Start Pump System features a pressure relief valve, allowing users to start the unit without any back pressure from the pump. 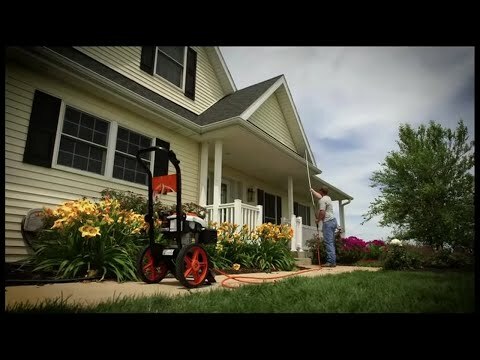 It enables quick, easy starting with no hard cord pulls. STAINLESS STEEL HIGH PRESSURE & BRASS DETERGENT NOZZLES: This pressure washer includes stainless steel nozzles for use with high-pressure water and a brass nozzle for use with detergent. These premium nozzles are designed to resist corrosion and wear. 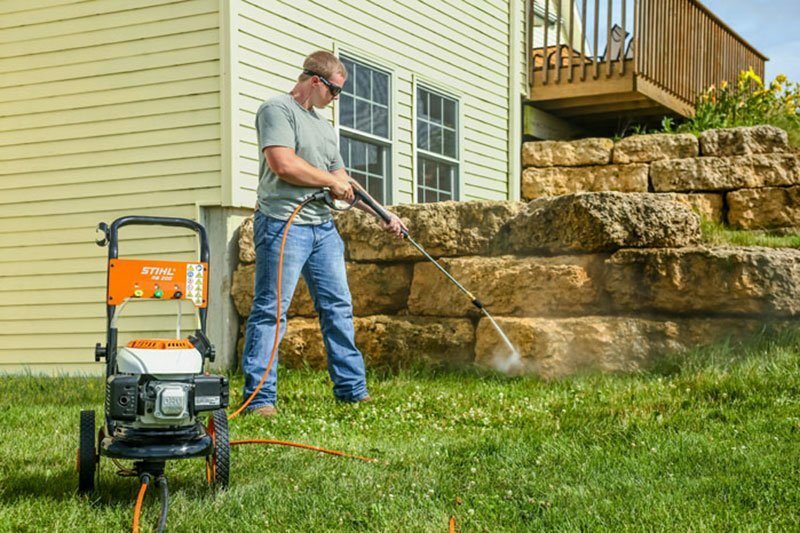 2-PIECE LANCE & GUN ASSEMBLY: This pressure washer features an easy, convenient 2-piece lance and gun assembly. 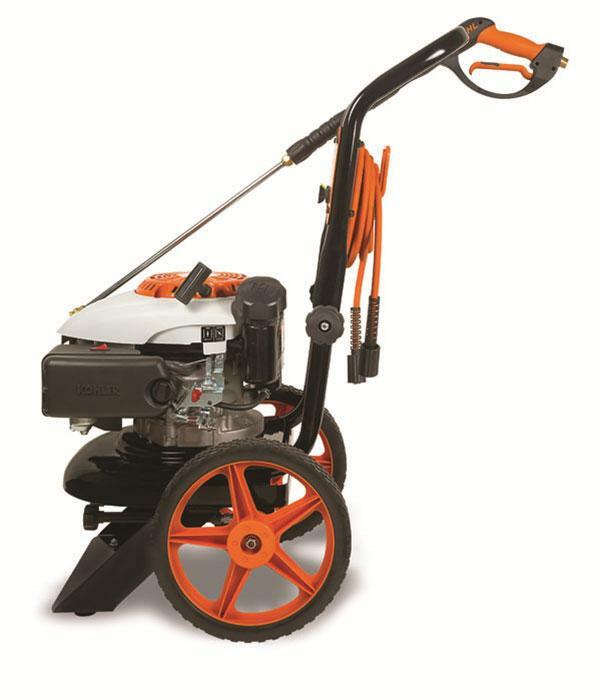 The lance design is also extended for better accuracy in tall applications. EASY-ACCESS INLET & OUTLET WATER CONNECTIONS: Both inlet (water coming into the pump) and outlet (water going from the pump to the gun) connections are easy to access for faster setup. 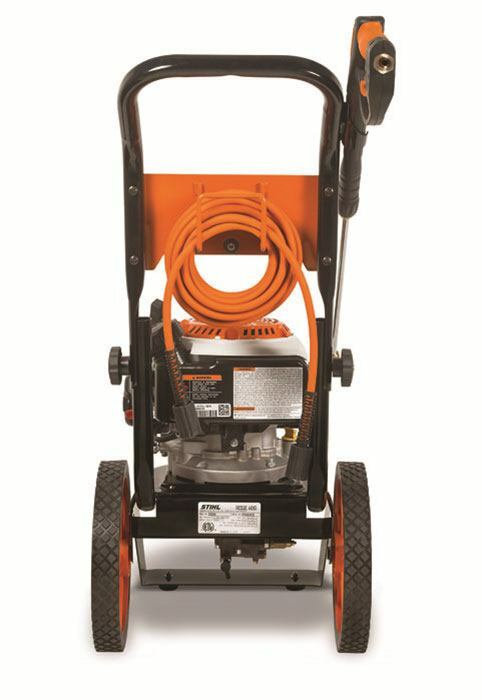 Handle up - 27.25 in. Handle down - 19.75 in. Handle up - 37.25 in. Handle down - 33.25 in. Handle up / Handle down - 18.13 in.